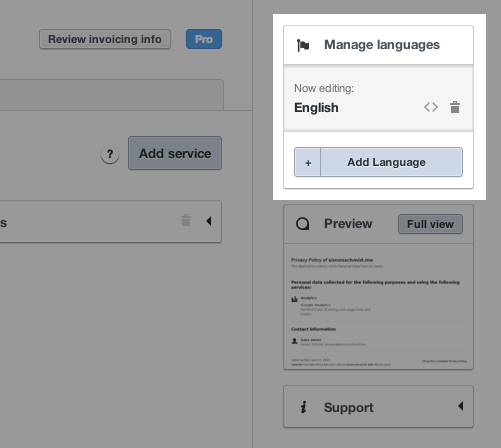 Today we are launching a localization in Brazilian Portuguese. How can you use our languages? Note about Brazilian: Since Portuguese and Brazilian Portuguese are rather far apart, this localization means it will be understood and correct only by Brazilian ears and grammar standards. 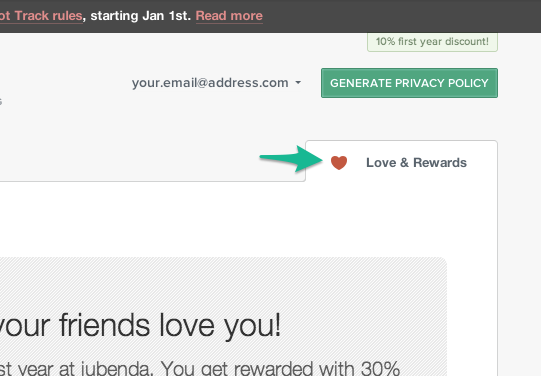 You’ll find a link in your dashboard’s “Love and Rewards” tab. Share it and profit. By visiting your sharing page you will find a couple of pre-crafted sharing possibilities. 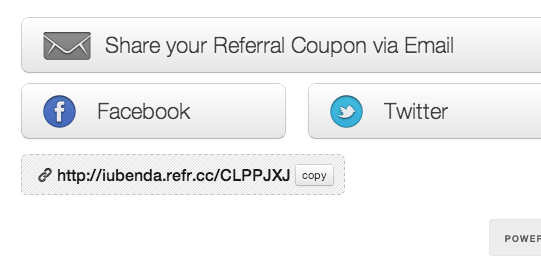 Instead of these options you can also simply copy paste the provided link and share it with whoever you like. If you need more details about this, you’ll be able to find out more in a recent post “How to make money by referring iubenda“. 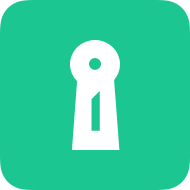 This is an ordered set of articles which will help you get a general overview on privacy requirements for your app or website. Blog & Academy disclaimer: legal news and information do not constitute legal advice. Sometimes the best choice is to "just give it a try"
is to "just give it a try"